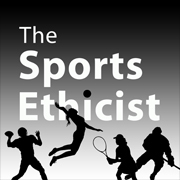 My old Sports Ethics Show podcast has been on hiatus for far too long. Instead of just starting that back up again, I am relaunching it with a new name, Examined Sport, and a new concept. The concept is ten to fifteen minute podcasts that focus on arguments or concepts from the philosophy of sport and analyze or explain them in simple and direct ways. I will look at classic, discipline-defining articles, exciting newly published works, and dig deep to rediscover important but not as well-known papers. The first episode is, logically, on Bernard Suits classic article: “What is a Game?” It will be released Tuesday, May 30. Episodes will follow every week or two after that. If you have ideas for the show, let me know by email or comment below.